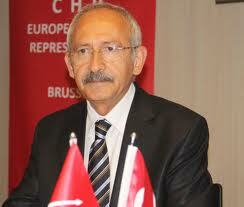 The leader of Turkey’s main opposition Republican People’s Party (CHP) Kemal Kılıçdaroğlu condemned the U.S. and Israel administrations over violence against Palestinian protesters on the day the U.S. embassy relocated from Tel Aviv to Jerusalem. Muharrem İnce, the party’s candidate for the presidency, also slammed the violence and urged for Turkey’s ambassadors to the U.S. and Israel to be recalled. “The U.S. and Israel are installing a permanent animosity in the Middle East,” İnce said.